Racing at Delaware Park – off in the 2018 Carl Hanford Memorial Stakes. Photo by Allison Janezic. 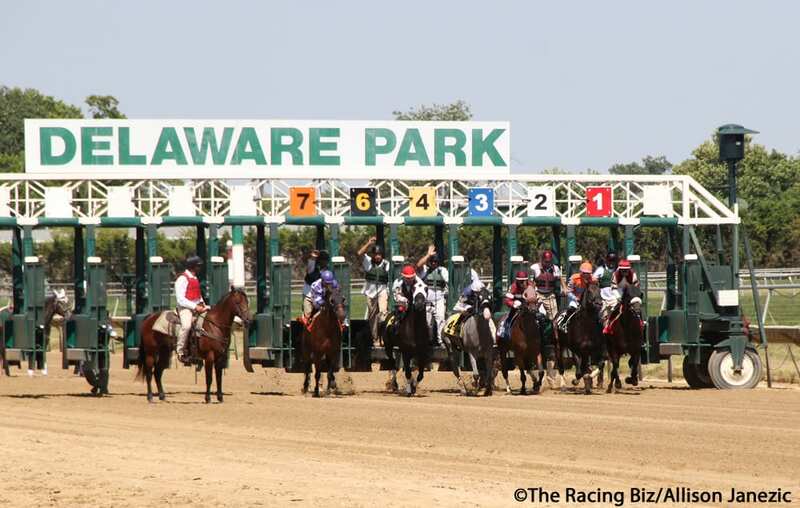 Delaware Park and the Delaware Thoroughbred Horsemen’s Association (DTHA) announced today the signing of a multi-year agreement and the live racing dates for the 2019 meet. The agreement provides for 85 days of live racing for the next three years. D. Scott Peck, President of the Delaware Thoroughbred Horsemen’s Association, reinforced the sentiment of consistency and continuity. “We are very pleased, as we will have live racing on the first Saturday of May to coincide with Kentucky Derby, four additional days of racing and the stability of a three-year contract.” Peck said.